The University of Miami Police Department (UMPD) is closing in on a suspect in the theft of a Black Lives Matter (BLM) banner from the University Center (UC) Breezeway March 2. “If there is an arrest made, because it’s a misdemeanor theft, it will be up to the property owner whether or not they want to prosecute with the state attorney’s office,” Gerlach said. According to the UMPD incident report, University Associate Director Brandon Gross reported the theft after he went to the Breezeway to remove the BLM banner that was scheduled to come down that day. Gross said the banner was sponsored by the Yellow Rose Society, a community service organization consisting of minority women with an interest in social justice. Black Awareness Month began on Feb. 1, but the banner was not placed until Feb. 6. Because of this, Gross said Yellow Rose Society members requested the banner stay up until March 6. 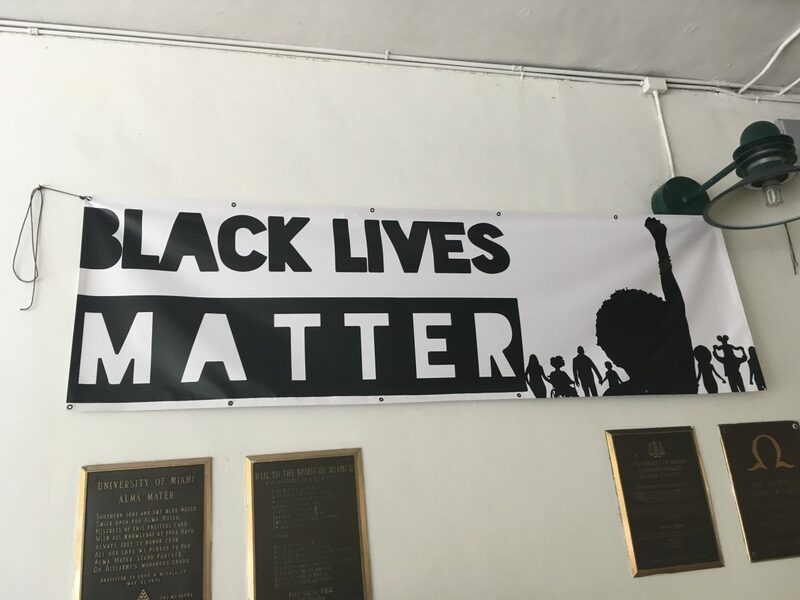 In an interview with The Miami Hurricane for an earlier story, senior Jaime Owens, who started the petition to hang the banner in the Breezeway, said the banner was important in challenging the “All Lives Matter” retort that has surfaced as a counter-argument against the Black Lives Matter movement. UM School of Law Vice Dean Professor Osamudia James, who teaches a course on the BLM movement, said the banner was one way of responding to opponents. Nathalie Mairena contributed to reporting.